1.1.1 Chapter 1. 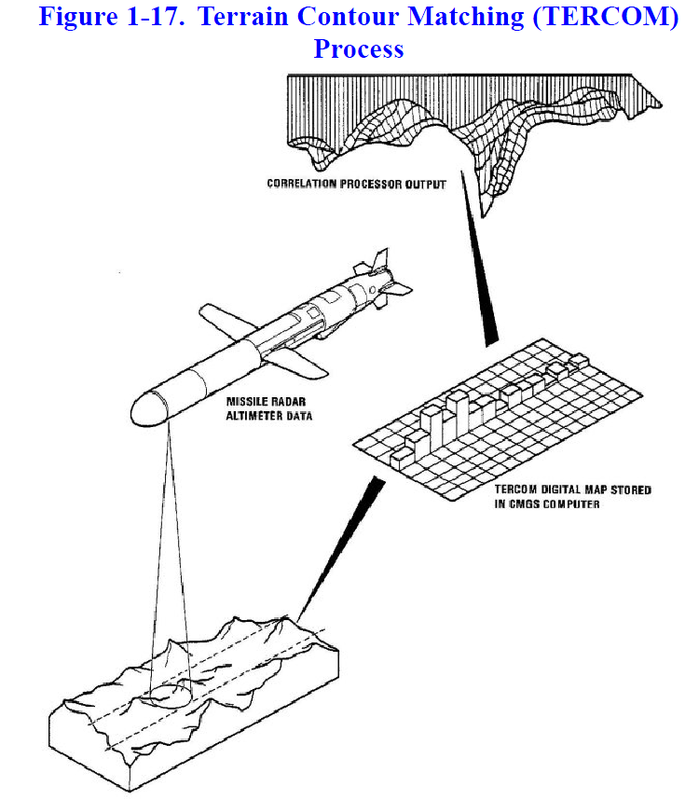 Chapter 1 discusses the TWS mission and physical descriptions of system components and equipment required to support the system; identifies the types of documentation and documentation terminology associated with TWS operations and support; describes TOMAHAWK Cruise Missile (TCM) mission profiles from prelaunch to target engagement; and provides TWS reference data. Section I of this chapter provides an outline of this document’s organization and content. 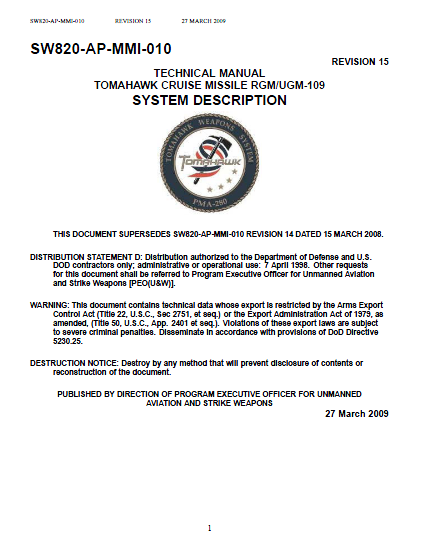 Section II provides an overview of the TWS to include a discussion of the TWS mission, the TCM All-Up-Round, support equipment, and documentation and documentation terminology. 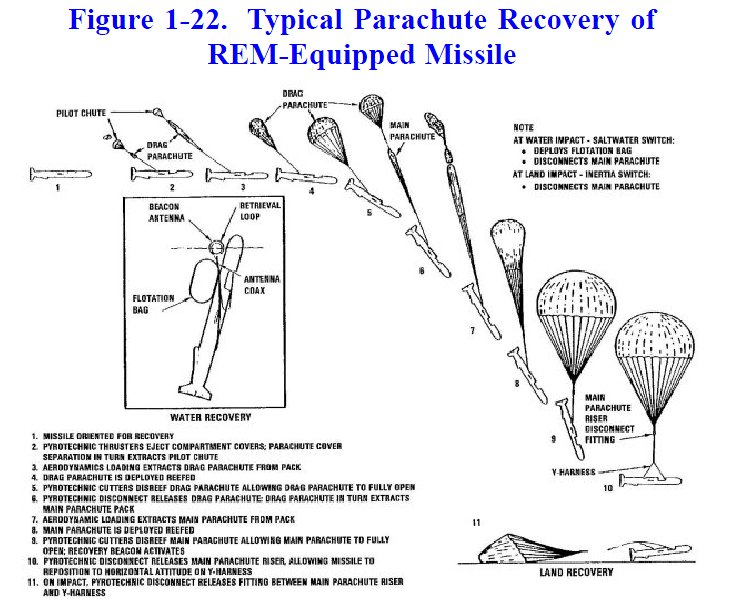 Section III provides a description of the TCM without regard to launch configuration and discusses targeting and the typical missile profile for each TCM variant. 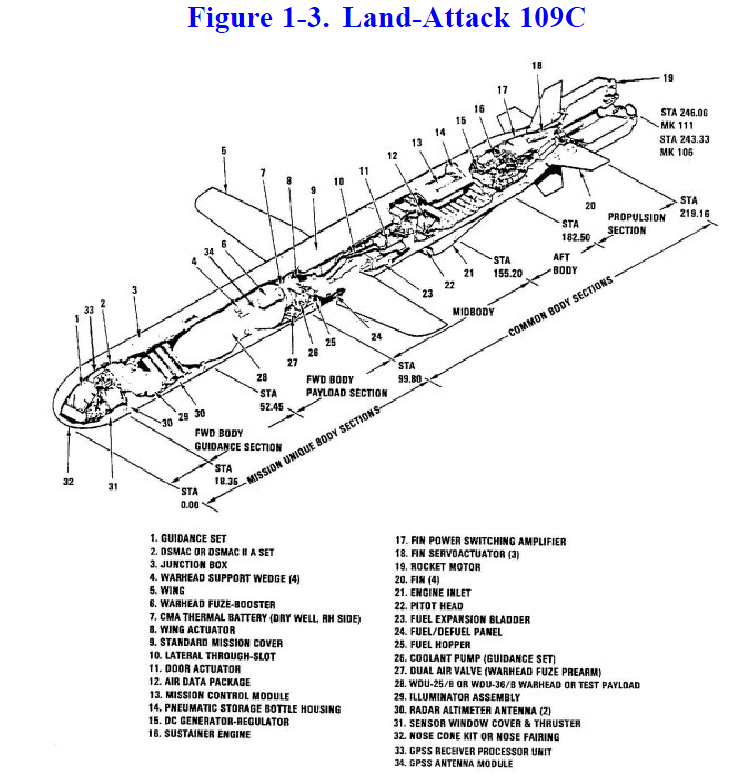 Section IV discusses the submarine Torpedo Tube Launch (TTL) launch configuration and provides information and data unique to the TTL system. Section V discusses the submarine Capsule Launching System (CLS) launch configuration and provides information and data unique to CLS. 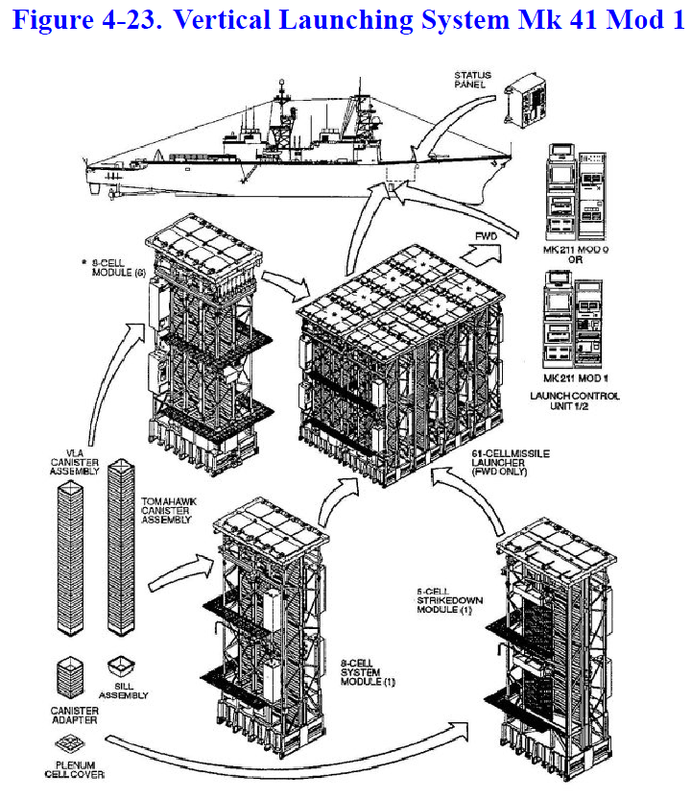 Section VI discusses the surface Vertical Launching System (VLS) launch configuration and provides information and data unique to VLS. 1.1.2 Chapter 2. Chapter 2 discusses TWS security and safety requirements, regulations and general policies relating thereto. 1.1.3 Chapter 3. Chapter 3 discusses functional descriptions of TWS components and interfaces between the TCM and its launch platforms. Section I provides an outline of the organization and content of the chapter. Section II discusses the TCM electrical power system and type commands and requests for status issued to the TCM and TCM responses to those commands and requests for status. Section III discusses unique interfaces between TTL TCMs and the submarine. Section IV discusses unique interfaces between CLS TCMs and the submarine. Section V discusses unique interfaces between VLS TCMs and the surface ship. 1.1.4 Chapter 4. Chapter 4 discusses TWS operations aboard launch platforms to include a description of the launch platform and on board equipment used to load, store and launch TCMs; TCM onload scenarios; and launch operations. Section I provides an outline of the organization and content of the chapter. Section II discusses TTL unique operations. Section III discusses CLS unique operations. Section IV discusses VLS unique operations.